can experience spine-tingling adventures on all three floors of the haunted house. 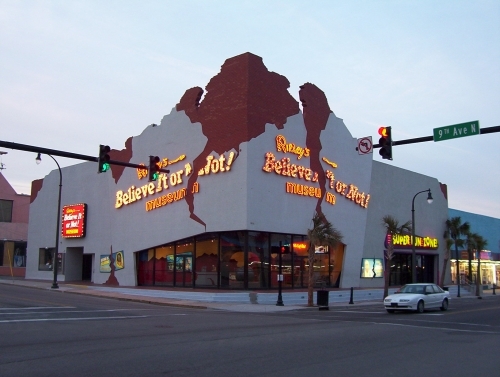 Take a ride in a 3-D movie at Ripley’s 4-D Moving Theatre, the only motion-simulator theatre in Myrtle Beach. The audio and visual effects you’ll experience in this unique theatre are state-of-the-art. Theatre shows change often throughout the year, so call for current listings. All of the Ripley’s attractions are open daily.